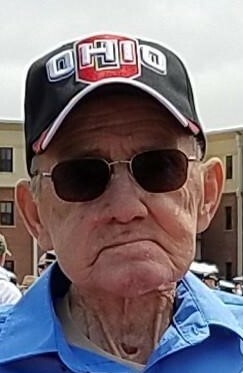 David F. Scherf, age 70, of Whites Landing, passed away peacefully at his home, Saturday morning, March 16, 2019, surrounded by his loved ones. He was born Sept. 3, 1948, in Crystal Rock, the son of Frank and Joyce (Griffin) Scherf. He was a 1966 graduate of Margaretta High School and retired after 30 years at General Motors. Dave also was the owner/operator of the Cove Inn for 35 years. He was a private pilot and enjoyed flying to Middle Bass Island to spend his summers. He loved traveling with his wife of 52 years, Janice, and spending time with his grandkids and great-grandson. He is survived by his wife, Janice (Neill) Scherf; two children Beth (Steve Cooley) St. Clair, Castalia, and David (Shanny) Scherf Jr., Cleveland; three grandchildren, Tiffany, Brendon and Olive; one great-grandson Chance David; brother, Terry Scherf; sisters, Susan (Doug) Draper, of Georgia, and LouAnne; sister in-law, Martella; and many nieces and nephews. Dave was preceded in death by his parents and brother, Thomas Scherf. Friends may call from 4-7:30 p.m. Tuesday, March 19, 2019, at Ransom Funeral & Cremation Service, 610 S. Washington St., Castalia, where services will take place at 11 a.m. Wednesday, March 20, 2019. Burial will be in Castalia Cemetery. Memorials may be made Stein Hospice Care Center, 1200 Sycamore Line, Sandusky, OH 44870.